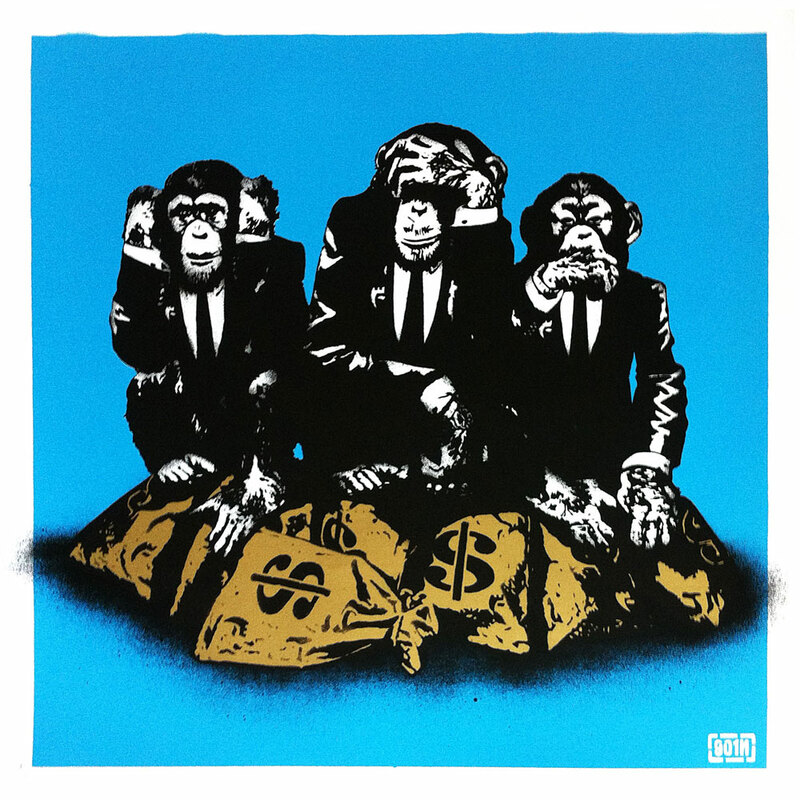 On a stunning blue background with metallic gold bags of dollars the print is called “The Council of Monkeys” and is based on the monumental street piece Goin put up on the Black Duke of Lancaster ship in November 2012. 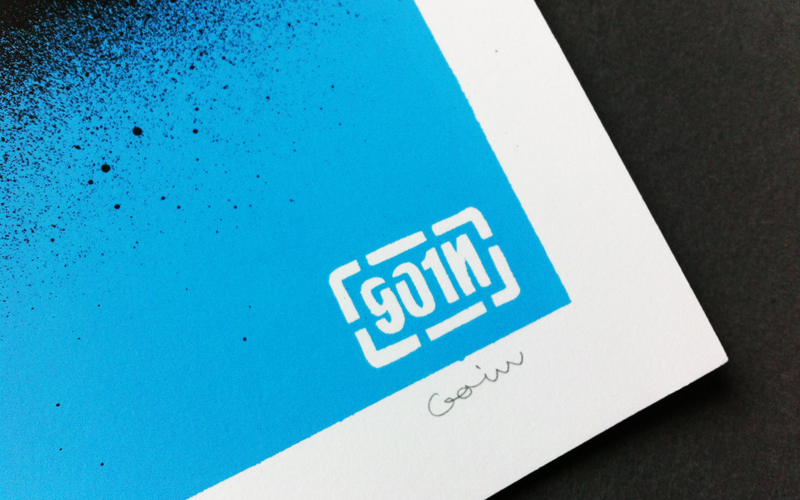 The theme of the piece is a direct reference to the 30 year struggle the owners of the vessel have had with the local authorities in attempting to open the ship as a much needed tourist attraction in the area. 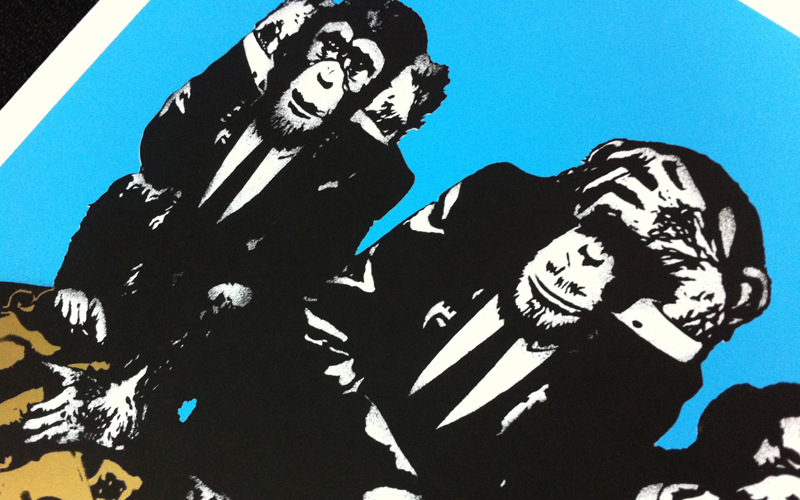 The piece is a play on the “hear no evil, see no evil, speak no evil” theme and depicts the business suited monkeys wearing expensive watches and sitting on their hoard of dollars. 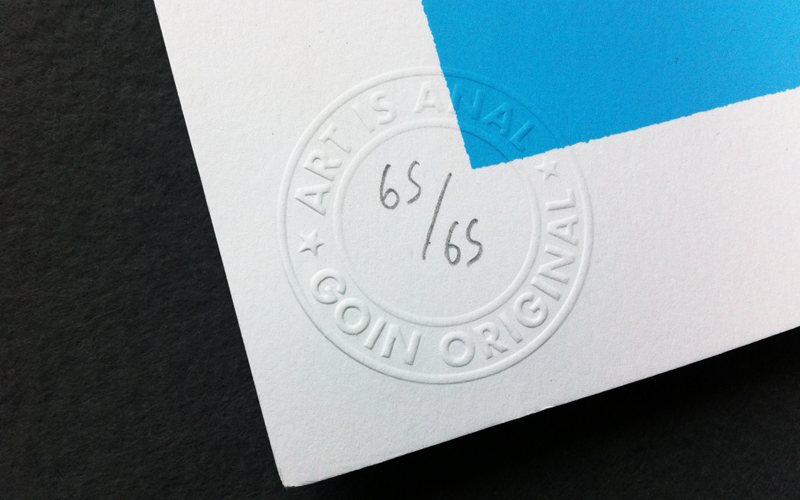 Limited to only 65 pcs, “The Council of Monkeys” Edition will only be available from the Black Duke of Lancaster website www.dudug.co.uk starting on Wednesday, May 1 at 1:00PM (London Time). 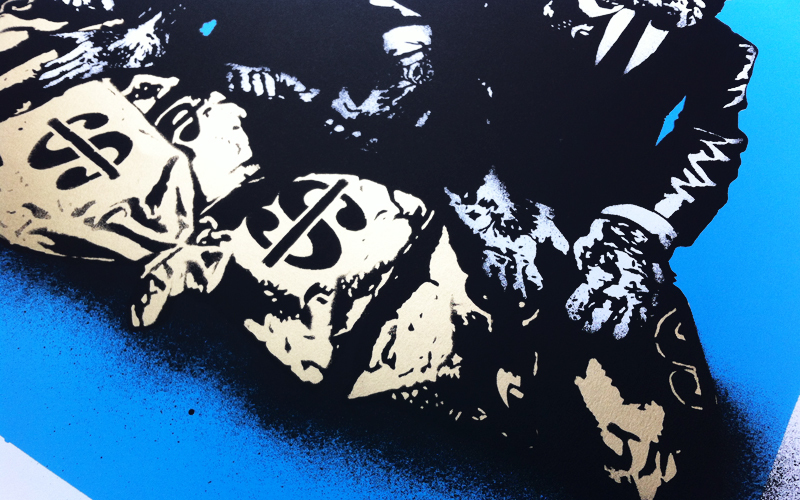 Medium: Screenprint black/blue/metallic gold on 300 gr/m² art paper.